Dimensions 0.91 by 6 by 9 in. Amazon.com description: Product Description: Thank you for checking out this book by Theophania Publishing. We appreciate your business and look forward to serving you soon. We have thousands of titles available, and we invite you to search for us by name, contact us via our website, or download our most recent catalogues. JEREMIAH CURTIN took the degree of Bachelor of Arts at Harvard College in 1863, having been a member of the last college class that studied their required mathematics under me as Assistant Professor. I found young Curtin's personal appearance and his mental processes unusual and interesting. He was a good scholar in general, with an extraordinary capacity for acquiring languages. In his autobiography (unpublished) he states that seven months and a half before he entered Harvard College he did not know one word of Latin or Greek, but at the admission examination he offered more of each language than was required. At the time of his death, 1906, he knew more than sixty languages and dialects, and spoke fluently every language of Europe and several of the languages of Asia. He was Secretary of Legation of the United States in Russia from 1864 to 1870, during which period he was acting consul-general for one year, 1865-1866. He was connected with the Bureau of Ethnology in the Smithsonian Institution from 1883 to 1891, and later was employed from time to time by the Bureau for special work. In Siberia, during the journey which this volume describes, he studied the Buriat language with a Buriat who knew Russian, and hard as it was to acquire a strange language without the aid of books, he accomplished the feat in a few weeks. At sixty he learnt a new language as quickly as he did when a Harvard student. Having acquired a language, Curtin always wished to learn the history, principal achievements, myths, folk-lore, and religious beliefs and usages of the people who spoke that language. 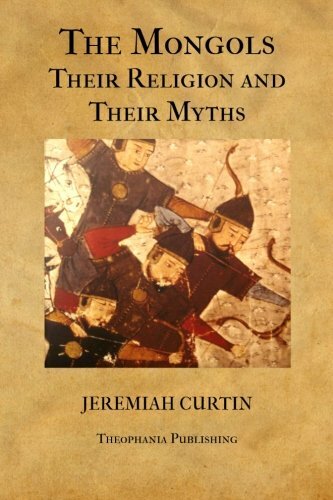 Hence his great learning, and his numerous publications on myths and folk-tales. Curtin is also known to the learned world by his translations from the Polish of Quo Vadis and eight other works of Henry Sienkiewicz. He published many valuable translations from the Russian and the Polish.